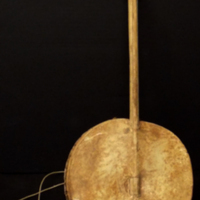 A two-stringed West African musical instrument; consists of a wooden body and a hide membrane which are bound together. 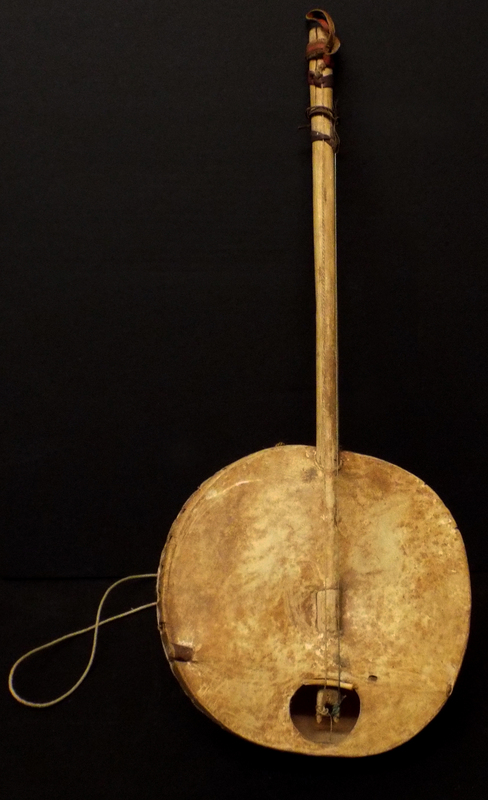 On the back is a strap which would allow the musician to stand while playing. unknown, . “Akonting.” Truman Warner Anthropological Collection, MS048. WCSU Archives, 5 June 2018. Accessed on the Web: 22 Apr. 2019.